Zoya Edyta – is a snakeskin dark olive green w/ slight warm greyish undertone packed with a TON of gold shimmer infused within this polish. This polish was released in Zoya’s Fall Wicked Collection 2010 and it is one of Zoya’s unique polishes to date in my collection! This polish is complex and it is one people either really love or really dislike – I happen to LOVE it! When you are a nail polish addict & collector like myself – you have an understanding to appreciate the ‘unique’ polishes when they are released. I personally LOVE to wear it during Fall & Winter time – it is definitely more a night time polish to me but I rock it during day time anyways. I am not kidding when I say this girlie reminds me of my alternative rocker days and I can seriously see this on an edgy rocker singer with her spiky high heels and leather jacket. Something about this polish just screams, edgy-fashion-rocker-coolness, it is definitely ROCKER CHIC! Maybe I’m just weird lol. But when I want to channel the inner rock star in me – I reach for this polish! The application is a dream – opaque in two coats and dried on average with Zoya polishes – the best part is that this polish lasted quite a while on my nails, – there was only tip wear when I removed it! If you are looking for a “different” polish then look no further, this is my kind of polish when I want to play up my more rocker style and it just drips of confidence. 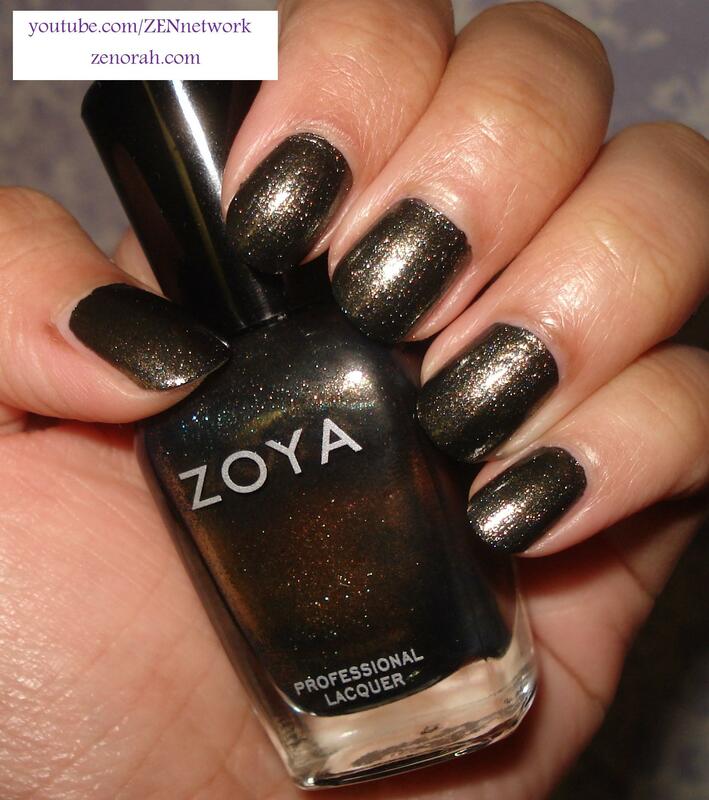 Do you own Zoya Edyta? What are your thoughts on this nail polish? I got this color during the Zoya Earth Day promo! Love it!